CeCe McDonald, the transgender woman sentenced to 41 months in jail after pleading guilty to second-degree manslaughter in a violent attack against her, is being held in a male facility in Minnesota, including time in solitary confinement. 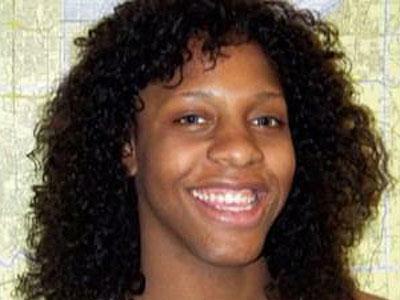 Chrishaun CeCe McDonald, the transgender woman sentenced to 41 months in jail after defending herself in an unprovoked assault that left one of her attackers dead, is being held in a men’s correctional facility in Minnesota, raising concerns among advocates that she could be at risk for mistreatment and abuse. McDonald, who is African-American, pleaded guilty last month to second-degree manslaughter in the death of Dean Schwartz, one member of a group that attacked McDonald and her friends last year in Minneapolis. The attackers used racist and homophobic slurs. The young fashion student was sentenced last week to 41 months in a correctional facility for men in St. Cloud, Minn. Some advocates have expressed outrage at the placement, which MSNBC host Melissa Harris-Perry explored Sunday on her show. Harris-Perry reported that the Minnesota Department of Corrections currently houses 10 transgender inmates, all transgender women, in men’s facilities. McDonald, who was allowed to shower alone and stay in a single cell, is currently undergoing a short-term evaluation that will determine where she will serve the remainder of her sentence. State officials told Harris-Perry’s team that the facility is aware of the heightened sensitivity around McDonald’s situation and is receiving close monitoring. However, Mara Keisling, the executive director of the National Center for Transgender Equality, who spoke with Harris-Perry, said that McDonald called her support committee with an update over the weekend. She reported that she has left administrative segregation, or solitary confinement, and is now in the general men’s population. According to Keisling, a study in the California state prison system found that transgender women are 13 times more likely to be sexually assaulted when they are in men’s cells. Despite the risks, Keisling said that the question of where transgender women should be held is a “really, really complicated issue,” one that McDonald should ultimately help determine during the evaluation. New rules issued by the Justice Department last month aim to give transgender inmates more input into the process, but the policies remain untested. Keisling said that the Minnesota prison system has made progress in matching the new guidelines. ColorLines provides a pessimistic view of the evaluation process from Katie Burgess, the executive director of the Minneapolis-based Trans Youth Support Network, who is in regular contact with McDonald. While McDonald’s placement wishes are unknown, Keisling told Harris-Perry that the choice of where to be housed is a complex one for transgender women. The bottom line, said Keisling, is that McDonald’s predicament shows more work needs to be done to protect transgender inmates. “It’s a really, really complicated thing and jails and prisons have to start better understanding vulnerability and how to gauge that and how to do better by keeping people safe,” she said. Watch the segment from MSNBC.